Lets get messy, break free and have some creative fun!! 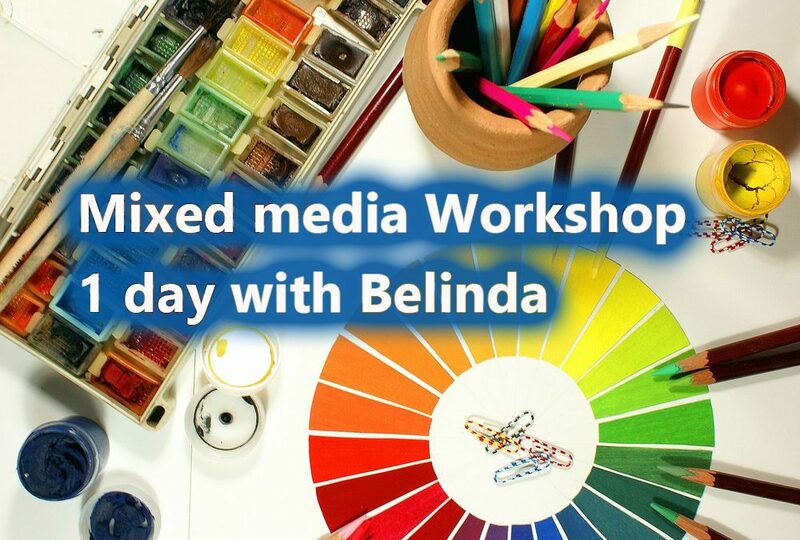 In this workshop, you will be shown a range of mixed media techniques that will allow you to be brave, experiment and gain inspiration & confidence in your art making and creativity. General techniques & processes in working with mixed media such as LAYERING, Drying time and how to continue on even when it’s not working. Trust those HAPPY accidents but be brave enough to keep working and allowing them to happen. Ways to apply texture to an artwork before you start and how to work on a work with a set idea in mind. If you are a beginner you will be guided step by step on tips & techniques on how to use colour, contrast and differences in materials. How to work more intuitively with an artwork and process such as adding texture and different media as you go along, things like collage, to create elements in your work that create interesting effects but also can have hidden meanings and how to incorporate this into a work to create a story. Which materials work with each other and how to incorporate mediums together. Different ways mixed media can be used in things like art journals, papers, wood and how that can affect your way of working. 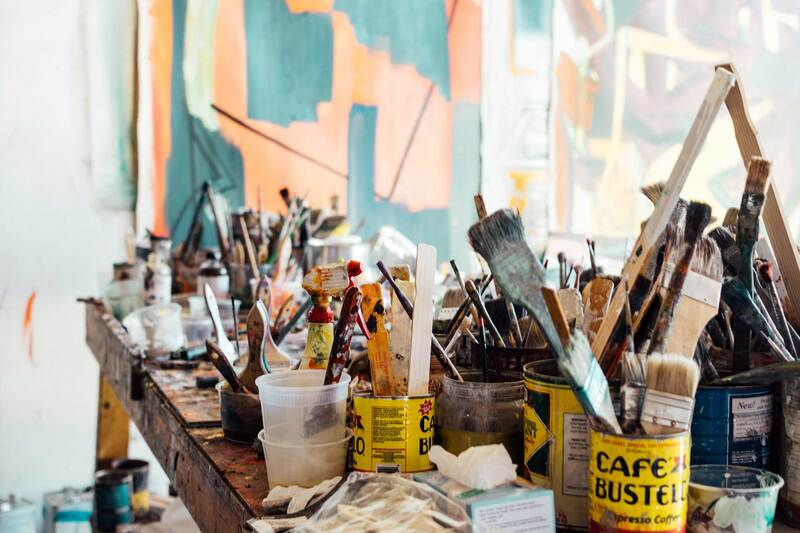 I will bring along all of my materials and you will get to try materials such as acrylic inks, pens, pencils, oil pastels, paints and mediums such as flow mediums, collage, matt mediums. We will work on 2 artworks around 30cms in size one will be on paper or canvas board and the other will be a wooden board. You will of course take this home with you at the end of the day. WORKING STYLE: 1 will be a more abstract/organic way of working and the other we will create a set focus point/theme. heat gun or hair dryer to speed drying time if you wish. There are two workshop dates Saturday 11th August 2018. TIME: 10 to approx 4pm (sometimes we go a bit over for drying time. All support materials such as papers, etc. You will also receive 1 paper / canvas board – 30cms & 1 wooden board to work on during the day. Various bits and bobs you work on during the day you also take home to use on your own artworks in the future. Reference materials/handouts for you to keep and to refer back to later. Afterwards, access to my Private Facebook Mastermind group where you can ask questions and connect with other members of the workshop for when you go home and do your next artwork. BYO Lunch, there is a refrigerator & microwave on site, the shops are 3 mins up the road by car. We will stop for about 40mins for lunch. PARKING: There is generous free parking in the vicinity, on the corner of Picnic Parade & Maitland Bay Drive. Maximum of 4 people to this class as I have designated a WHOLE table per person so there is lots of rooom to spread out. Please check the cancellation policy on booking. Some materials are available for purchase on the day, you will be using MY own materials so you may try before you go out and purchase things for yourself. Please d share with care & consideration and know you will be sharing these with other participants. If you have past work or a set reference / idea you would like to work on during the day please bring it along. 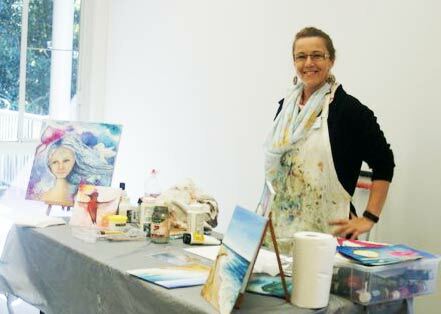 You don’t need to know how to draw or be an artist, this workshop is totally for beginners! If you are experienced that is fine but the day is about the play, experimentation and learning techniques at whatever level you are at. This is a small class so the day is somewhat tailored to the individuals. You will not necessary complete a whole artwork in the day its about learning the techniques and you may continue on with these at home. We cover ALOT of information in these classes, these are Adults classes and NOT for children under 17yrs. We cover fundamentals and techniques in this workshop. I teach in a relaxed friendly environment, I also teach multiple ways to work not just my own personal style, so you will come away with a huge amount information and skills to use in YOUR own way depending on what works for you! $160 inc GST including all materials and supports for the day. Class is limited to 4 people – Book in as this class often fills fast. To book your spot in this class please fill out the booking form by clicking the button below. Payments via Credit, Paypal or Bank Deposit are accepted.